Lock in a great price for Beverly Wilshire, A Four Seasons Hotel – rated 9 by recent guests! The staff - all so genuinely kind. Everyone went out of their way to treat us like royalty. So many special touches; the turn down service with fruit plate and sweet treats, the courtesy car service, impeccable service at the pool.. all made our stay a dream trip. Amazing! You have everything you need: comfort, location, entertainment, good food. All was good, and despite some outside noise a few times during stay, staff was responsive and courteous. 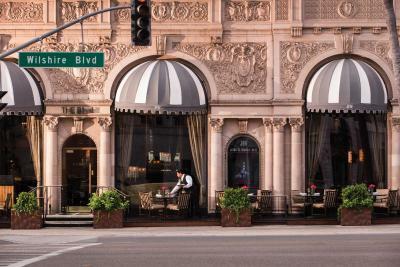 The Beverly Wilshire was absolutely magnificent. One of the best places I have ever stayed at. 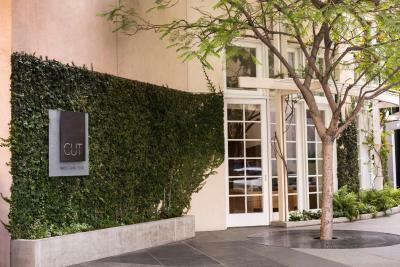 Everything, it's one of our favorite places to stay in Beverly Hills. location is perfect, staff are extremely friendly and helpful (Adam was top notch). luxurious property. easy access to major freeways. walking distance to all brands/multiple cuisines/grocery store. My family loves this hotel so much. The service, cleanliness and location are the best. 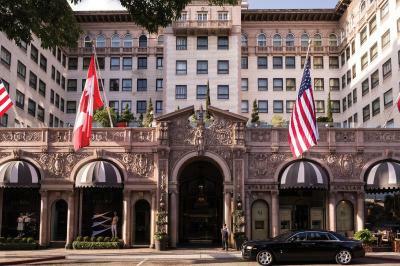 Beverly Wilshire, A Four Seasons Hotel This rating is a reflection of how the property compares to the industry standard when it comes to price, facilities and services available. It's based on a self-evaluation by the property. Use this rating to help choose your stay! 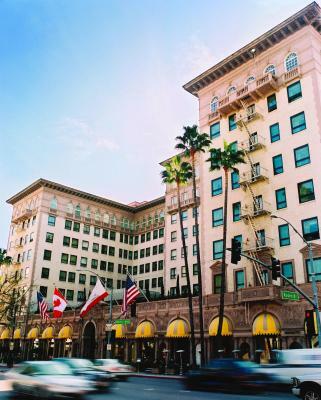 One of our top picks in Los Angeles.Beverly Wilshire, a 4 Seasons Hotel is located across the street from Rodeo Drive. 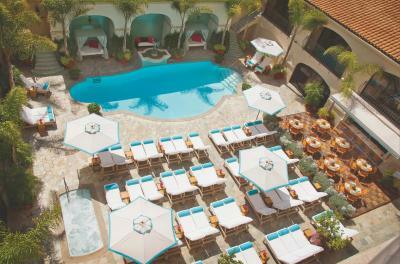 The hotel features a Mediterranean-style pool and hot tub with private cabanas. 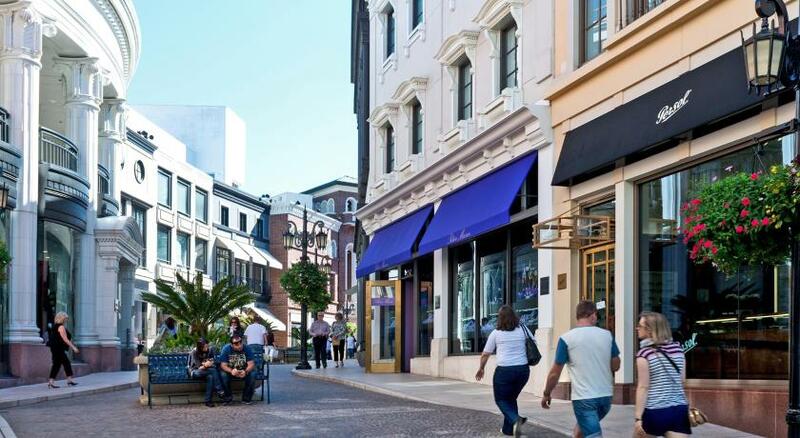 The property is in a popular location to shop at Rodeo Drive, and is also in close proximity to areas such as Hollywood, Santa Monica, and Venice Beach. Rooms offer a flat-screen cable TV. Free WiFi for 1 device is available in all rooms at the hotel. A DVD player and an iPod docking station are offered and a mini-bar is included. 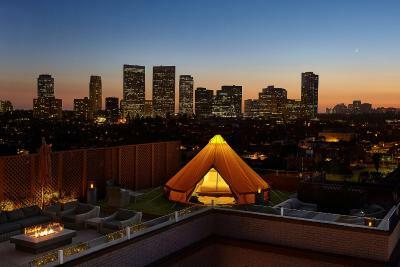 Most rooms boast views of Rodeo Drive or the Hollywood Hills. 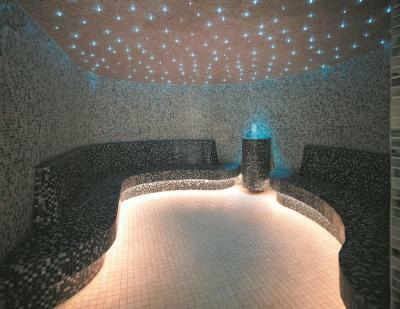 Guests can relax in The Spa and enjoy massages, facials, and organic treatments using a wide range of products. A fitness center with state-of-the-art gym equipment is on site. Guests can enjoy complimentary fresh fruit, juice, bottled water, and pitchered water with natural fruit at the hotel. Meeting centers are also available. The pool offers cabanas at a surcharge and lunch dining is available at the poolside bar & cafe. 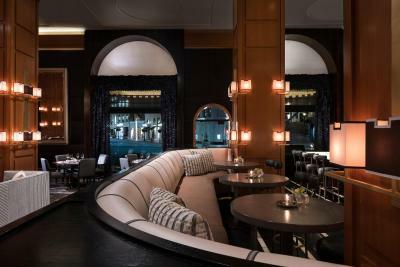 Various dining options are available at the Beverly Wilshire. 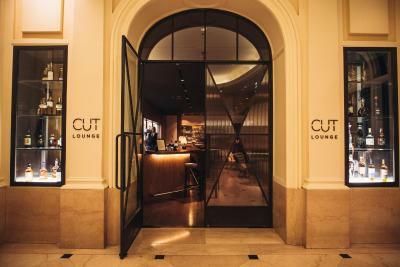 the CUT Lounge, a michelin star-rated steakhouse with a menu created by Wolfgang Puck, features seafood and steakhouse staples with cocktails and rare wines and spirits from around the world in a Mediterranean setting. 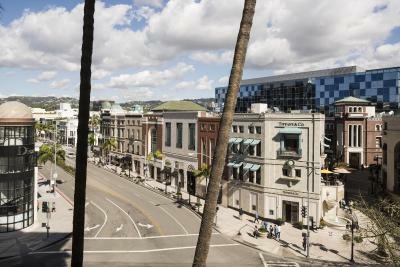 THE Blvd, a mediterranean restaurant that offers outdoor seating overlooking Rodeo Drive. The Pool Bar and Café offers casual poolside dining, serving sandwiches, Paninis, salads, and desserts. 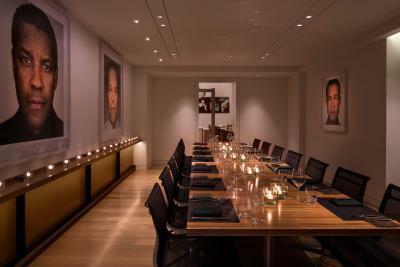 In-room dining is also offered at the property. Los Angeles International Airport is 12 mi from the property. 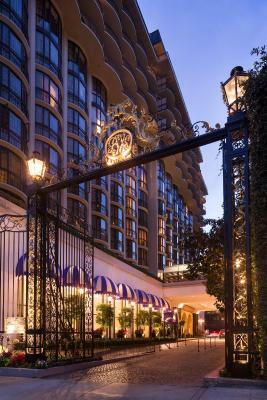 The Los Angeles County Museum of Art is 15 minutes’ drive from this hotel, while the Sunset Strip is 3 mi away. The Santa Monica Pier is 30 minutes’ drive away. 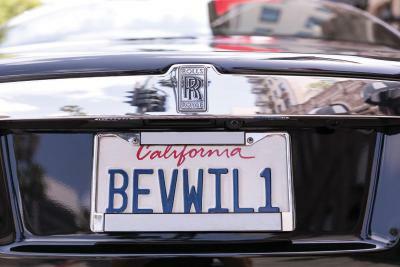 When would you like to stay at Beverly Wilshire, A Four Seasons Hotel? 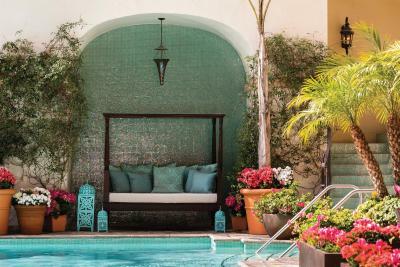 This room is located on the 2nd to 8th floors of the Beverly Wing and the 2nd to 9th floors of the Wilshire Wing with views of the pool or porte cochère. A flat-screen cable TV and a mini-bar are included. On the 2nd to 8th floors of the Beverly and Wilshire Wings, these spacious rooms offer views of the pool or entrance. A flat-screen cable TV and a minibar are furnished. This room is on the 2nd to 12 floors with views of the pool or entrance. A flat-screen cable TV and a minibar are furnished. 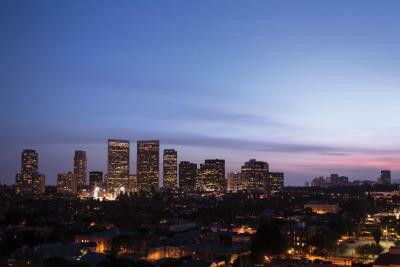 This studio is located predominantly in the Wilshire Wing with views of the entrance. A spacious sitting area with a flat-screen cable TV and a minibar is furnished. 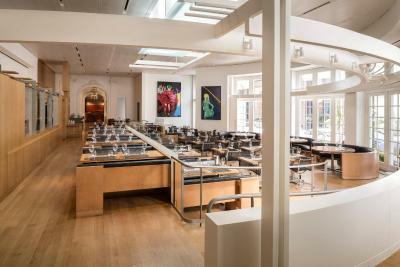 This studio is on the 7th to 12th floors of the Beverly Wing with views of the city. A flat-screen cable TV and a minibar are furnished. 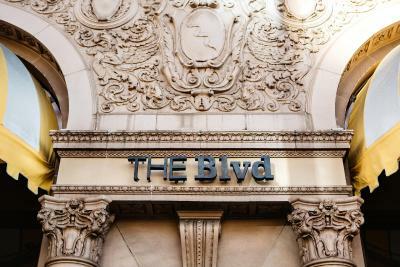 Also known as the BW Studio, the studio is on the 2nd to 9th floors of the Wilshire Wing and the 2nd to 12th floors of the Beverly Wing with views of the porte cochère. A flat-screen cable TV and a minibar are furnished. 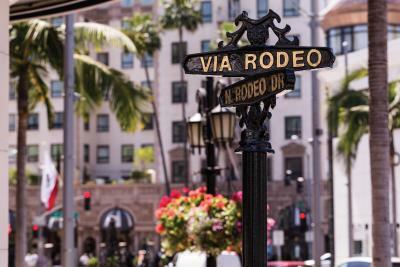 Also known as the Rodeo Studio, this studio is on the 2nd to 8th floors of the Wilshire Wing with views of the city and Rodeo Drive. A flat-screen cable TV and a minibar are furnished. Also known as the Rodeo Accessible Studio, this studio is on the 2nd to 8th floors of the Wilshire Wing with city views and Rodeo Drive. A flat-screen cable TV and a minibar are furnished. This suite is located predominantly on the higher floors in the Beverly Wing with views of the Hollywood Hills, city skyline, pool, or entrance. 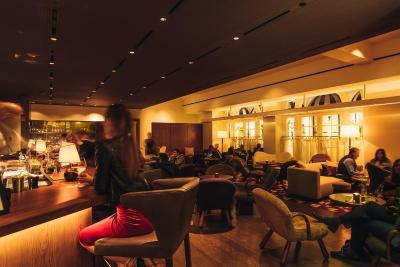 A sitting area with a flat-screen cable TV and a minibar is featured. This suite is on the 8th, 10th and 12th floors of the Beverly Wing with views of the Hollywood Hills, city skyline, pool, or entrance. A sitting area with a flat-screen cable TV and a minibar is featured. Views of the pool, Hollywood HIlls, city skyline or the porte cochère are featured in this plush suite. A flat-screen cable TV, DVD player, and guest bathroom are all included. Also known as the Wilshire Suite, this suite is on the 2nd to 7th floor of the Wilshire Wing and showcases views of Rodeo Drive or El Camino Drive. A separate sitting area with a flat-screen cable TV and a minibar is featured. A separate sitting area with a flat-screen cable TV and a minibar is featured in this corner suite. A guest bathroom is available for guest convenience. This suite is on the 7th to 12th floors and is known as the Corner Beverly Suite. Also known as the Corner Beverly Accessible Suite, this suite is on the 7th to 12th floors of the Beverly Wing with views of the city on the wraparound balcony. A flat-screen cable TV with a DVD player and a guest bathroom are also included. Also known as the Signature Rodeo Suite, this suite is on the 2nd to 8th floors of the Wilshire Wing with views of the city and Rodeo Drive. A large, separate sitting area with a flat-screen cable TV and a minibar is featured. This double room has a tile/marble floor, mini-bar and iPod dock. This double room features a DVD player, air conditioning and CD player. This suite features a CD player, air conditioning and tile/marble floor. 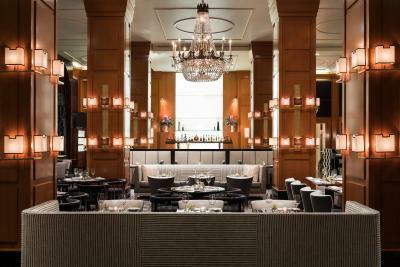 House Rules Beverly Wilshire, A Four Seasons Hotel takes special requests – add in the next step! 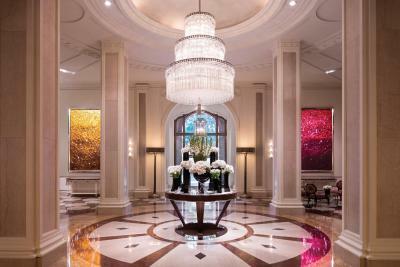 Beverly Wilshire, A Four Seasons Hotel accepts these cards and reserves the right to temporarily hold an amount prior to arrival. The location was perfect. Great restaurants, shopping, people watching but still able to relax in your beautiful room. Staff were fabulous throughout the hotel. Great hotel in a wonderful location, felt very safe. Staff are friendly and helpful. We had a studio room Very comfortable and extremely spacious. Would definitely stay here again. Well, the price. But I truly feel it was worth every penny. A la carte breakfast menu was poor. Buffet would have been better. A la carte price was very high, I think unreasonable. Free upgrade was appreciated. Location is excellent. Many places of interest are within easy reach. Service was good and all staff very friendly and attentive. There is nothing you can say you don’t like. The mattress on the sofa bed wasn't the best, The kids said they could feel the metal underneath. I wouldn't choose the room with a sofa bed next time.